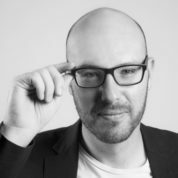 Dave Duarte is the founder of Treeshake, a communications consultancy specialising in digitally led campaigns for change. A passionate educator, Dave has been teaching digital communications, marketing, and leadership practice for over a decade. As a Young Global Leader of the World Economic Forum, Dave is part of a select community leaders who commit to learning and collaborating on global impact projects to improve the state of the world. Dave serves on the Board of the Mail & Guardian, a leading independent newspaper group renowned for its investigative journalism. He also serves on Endeavour’s Venture Corp., and as Trustee for the Reach Trust which has provided over 10 million people with educational support using mobile phones. A passionate promoter of side-projects, Dave is an award winning blogger and public speaker. He has given talks and workshops in more than 20 countries, to hundreds of audiences including talks at the United Nations, TEDx, and the World Economic Forum. Previously Dave was Programme Director at the University of Cape Town’s Graduate School of Business; headed up Creative Commons South Africa; founded the Ogilvy Digital Marketing Academy; and co-founded South Africa’s largest and leading Social Media Agency, Cerebra.